Brookfield has stopped its property management services in India. The company has also retrenched 20 executives in Mumbai and Bangalore. Brookfield is a Canadian alternative asset manager and the company plans to withdraw from this line of business globally. It had started its facility management services in India about three years ago. The company had sold the business to CCMP Capital Advisors last month. People familiar with the development said that all employees had been asked to leave as the real estate advisory arm had stopped functioning from the start of the financial year. The Indian arm of Brookfield used to report to the London office. The company is one of the most aggressive investors in India and it will continue to run its other businesses in the country. 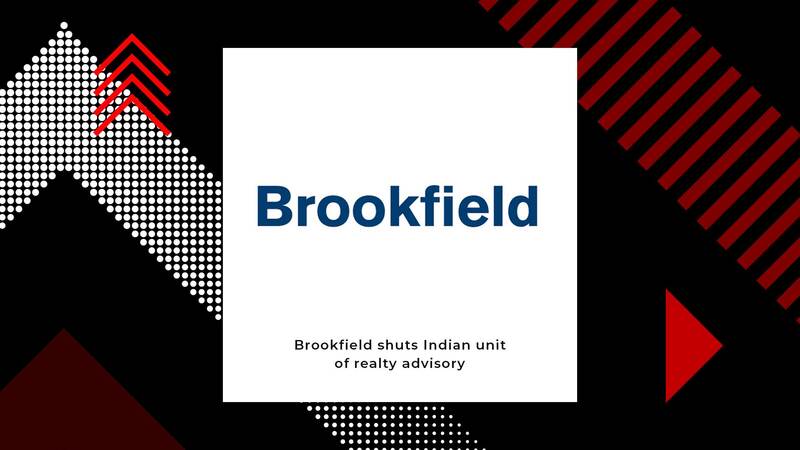 The Indian unit of Brookfield was reported to have grown at the rate of 25 to 30 percent CAGR (Compound Annual Growth Rate) in the past few years. Brookfield Global Integrated Solutions (BGIS) is the integrated facilities management arm of Brookfield Business Partners. According to reports from BusinessWire, Gordon Hicks, Chief Executive Officer at BGIS, and the management team will continue to work with CCMP. This will push the company’s growth in future. It is reported that CCMP would close the deal in this quarter (April-June). Recently, the Canadian realty investor paid a whopping price of Rs 3,950 crore to the Indian hotel chain, Leela. Four hotels in Delhi, Chennai, Udaipur, Bengaluru as well as an upcoming hotel in Agra were purchased by Brookfield Asset Management. The deal between Brookfield Asset Management and Hotel Leela Venture is reported to be one of the biggest buyouts in the industry and will make Leela debt free. Internationally, Brookfield is also planning to buy a commercial property site in Shanghai for around US$2 billion. Brookfield Strategic Real Estate Partners III would buy three office towers and a retail mall at Greenland Huangpu Centre from a unit of Greenland Hong Kong Holdings.